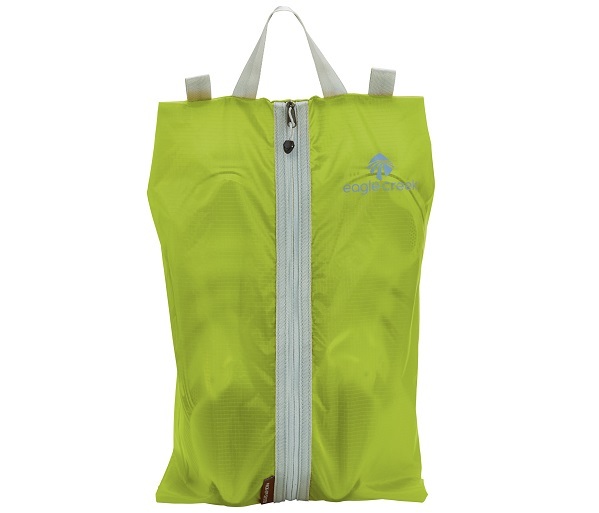 Made by Eagle Creek, this ingenious sac protects your clean clothes from your dirty shoes! Light as a feather, this zippered Shoe Sac is the simple solution! It holds two pairs of sandals or one pair of hiking boots.